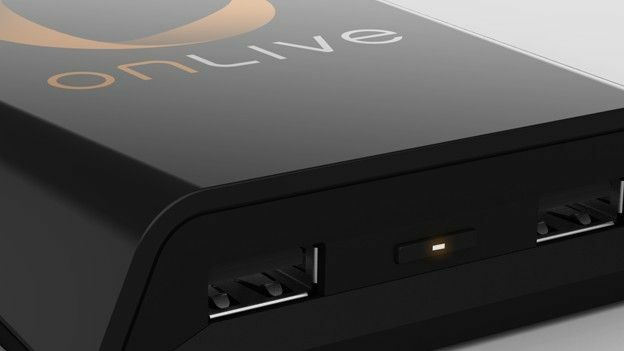 Is OnLive's cloud service the future of hardware-free gaming? This means you can play bang up-to-date, HD games – 150 titles at launch, including multiplayer – on low-spec machines. No more costly graphics card upgrades are required, just a solid web connection, and you're away. The MicroConsole doesn't support Wi-Fi, so if your router is in the hallway, you'll need to invest in a Wireless Bridge (about £40) or a long ethernet cable. You can connect via Wi-Fi on PC and Mac, but there's no wireless controller yet. It's arriving in autumn; you can use an Xbox controller or the keyboard till then. You can get free, 30-minute trials of the whole OnLive catalogue, then rent games for three or four days, or buy them outright. It needs a few tech tweaks before gaming PC makers start bricking it, but OnLive is off to a great start. OnLive worked great on our office rig – we've got a 50-meg connection. Below 5Mbps, picture quality dropped off on larger TVs and our 24-inch iMac, to the point where graphics were pretty poor compared to the Xbox 360 or PS3, although there still wasn't much lag. On a laptop, OnLive worked well at speeds above 2Mbps, with little lag or artefacting. We played Dirt 3 and Deus Ex: Human Revolution with the MicroConsole on 52- and 21-inch HD TVs and also with the app on a 15-inch MacBook Pro and 24-inch iMac on both rural and London networks, using ethernet and Wi-Fi. OnLive recommends the former, and the MicroConsole doesn't support the latter. PCs and Macs can use it, however. With the average UK broadband speed 6.8Mbps, we found a speed as low as 2.4Mbps produced decent results on the laptop. The same could not be said for HD TV or iMac, for which you'll want minimum 5Mbps, copper connection or, ideally, fibre optic. Only on our 50Mbps fibre-optic pipe was the ultimate in 52-inch gaming visual luxury achieved.